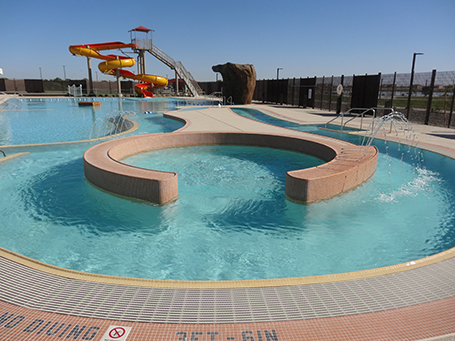 The Copper Sky Recreation Complex is the sporting, fitness, and leisure destination in Maricopa. Comprised of the Copper Sky Multigenerational Center and the Copper Sky Regional Park, this expansive recreational development offers state-of-the-art equipment, green spaces and intriguing programs designed to enhance Maricopa residents’ quality of life. The complex features extensive recreational opportunities including two outdoor pools, a full fitness center, two indoor basketball courts, eight multi-purpose fields, a dog park, skate plaza and a 5-acre fishing lake.